Tottenham Hotspur remain keen on Colombia international defensive midfielder Wilmar Barrios and have an agreement to sign him in January, according to Argentine journalist Luis Fregossi. The reporter claims that Spurs boss Mauricio Pochettino is a long-time admirer of the 25-year-old, who currently plays for Boca Juniors. France head coach Didier Deschamps has urged Manchester United forward Anthony Martial to work harder after he was not included in the 24-man squad for next month's World Cup qualifiers. Tottenham midfielder Moussa Sissoko took to Twitter earlier today to deny reports linking him with a move away from the club amidst rumours about him going to the Turkish Super League. After an underwhelming debut season in North London, Moussa Sissoko could be on his way out of Tottenham Hotspur, with Turkish side Trabzonspor interested in taking the French midfielder on loan. Everton have reportedly enquired over the possibility of signing Moussa Sissoko on a season-long loan from Tottenham Hotspur. Marseille are continuing their link with Moussa Sissoko and are hopeful that they will be able to agree a move that will put an end to his Tottenham Hotspur nightmare. The French international has delivered a string of underwhelming performances since joining Spurs last summer. France international Laurent Koscielny has admitted that he is comfortable with his stay at Arsenal, but would still find it hard to ignore a switch to boyhood club Marseille. Moussa Sissoko could be offered an escape route from Tottenham Hotspur just a year after his £30m switch from Newcastle United. Manchester United have been handed a transfer boost as Bayern Munich manager Carlo Ancelotti has no intention of keeping Douglas Costa at the club and is ready to listen to offers for the winger. Sissoko has emerged as a surprise target for Europe's elite clubs despite his poor showing for Tottenham this season. French Ligue 1 club Marseille are preparing a big money spending spree this summer, which may include two French internationals who are first team regulars for Premier League team Arsenal. Everton to return for Sissoko? As one of the big stories of transfer deadline day came to an end last September, Moussa Sissoko sealed a £30 million move to Tottenham Hotspur from Newcastle United. Just minutes before, it appeared that he would be signing for Everton, before choosing the North London club instead. Now, Everton could be preparing another push to sign the France international. Tottenham Hotspur have had a strong campaign again this season, but manager Mauricio Pochettino is aware that he will have to add more depth to his squad if they are to realistically challenge for the Premier League title and also in European competitions. France international Moussa Sissoko has insisted that he has no second thoughts over his move Tottenham Hotspur despite the limited gametime this season. Moussa Sissoko destined for Spurs exit? Tottenham Hotspur are prepared to cash in on Moussa Sissoko after just one season at White Hart Lane. The France international has failed to live up to his Euro 2016 showing, and he is currently a regular on the bench. Moussa Sissoko to exit Spurs? Serie A giants AC Milan are lining up a summer approach for Tottenham Hotspur attacker Moussa Sissoko. The France international has failed to prove his credentials since arriving from Newcastle United last summer. Spurs to sell Moussa Sissoko? Tottenham Hotspur midfielder Moussa Sissoko could be heading through the exit door just four months after his arrival from Newcastle United. Arsenal are considering a move for Celtic’s Champions League hero Moussa Sissoko, after the young striker bagged a brace in Wednesday’s draw with Manchester City at Celtic Park, according to reports. Tottenham Hotspur have pursued the services of Newcastle United attacker Moussa Sissoko for £30m. Everton were initially in the running to sign the Frenchman but they failed to reach a settlement over a contract. 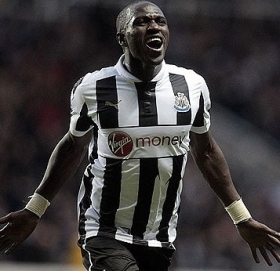 Tottenham Hotspur have reportedly made a late bid to land Newcastle United attacker Moussa Sissoko. The 27-year-old has been tipped to leave the Magpies all summer following his exploits for France at Euro 2016.